Maybe you are spending today prepping your home for the onslaught of football fans that will attend your Super Bowl party tomorrow and don’t have time to make a 7 layer dip that has 40 ingredients. Perhaps you are bringing a dish to someone else’s party and don’t want to be the eighth person bringing guacamole. Have I got a recipe for you. 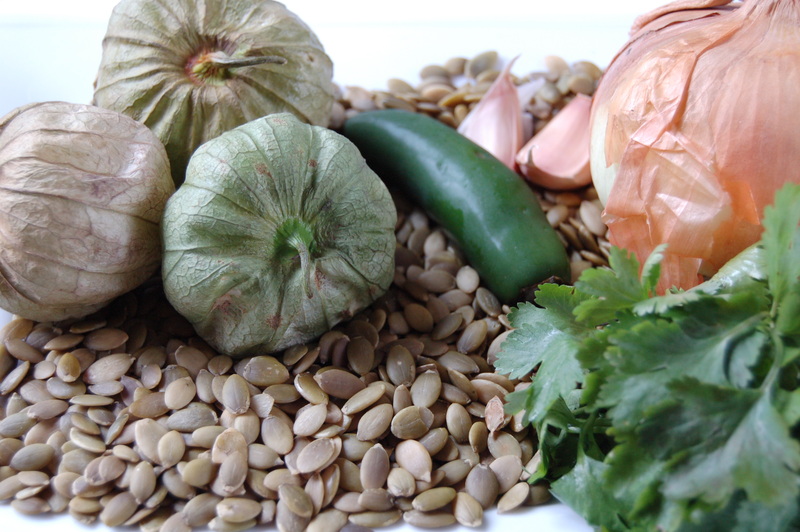 Sikil Pak is a creamy, pumpkin seed (also known as pepita) salsa/dip that can be made a day in advance, is relatively easy (as long as you have a food processor) and requires only a few ingredients. It is a dish that comes from one of my favorite areas of Mexico, the Yucatan Peninsula…and who doesn’t love that? Feel free to play around with this recipe. You can leave out the cilantro or jalapeño (but I know you wouldn’t do THAT), or try adding different types of chilies such as serrano or habanero. I’ve also seen recipes that add lime juice and citrus zest. Obviously, I prefer the version below. If you absolutely cannot find tomatillos, you can substitute 3 small plum tomatoes. 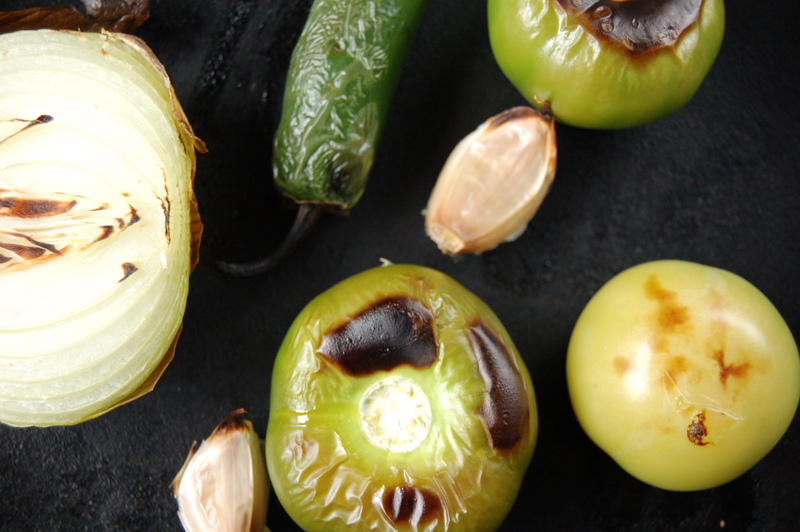 Place tomatillos, garlic, onion and jalapeño on dry cast iron skillet. Heat over medium-high until vegetables are charred and beginning to soften, turning so that all sides are charred. Remove vegetables and allow to cool. (Alternatively, you can place vegetables on a dry cookie sheet and broil until soft and beginning to blacken slightly, turning each vegetable as needed. Remove cookie sheet from oven and cool slightly) When cool, peel garlic and chop a hunk off of the jalapeño (use a small piece if you like it mild, the whole pepper if you are cooking for Chelsea). In the bowl of a food processor pulse pumpkin seeds with roasted vegetables and cilantro. When smooth and creamy (add water by the tablespoon if the mixture seems dry), stir in salt to taste. 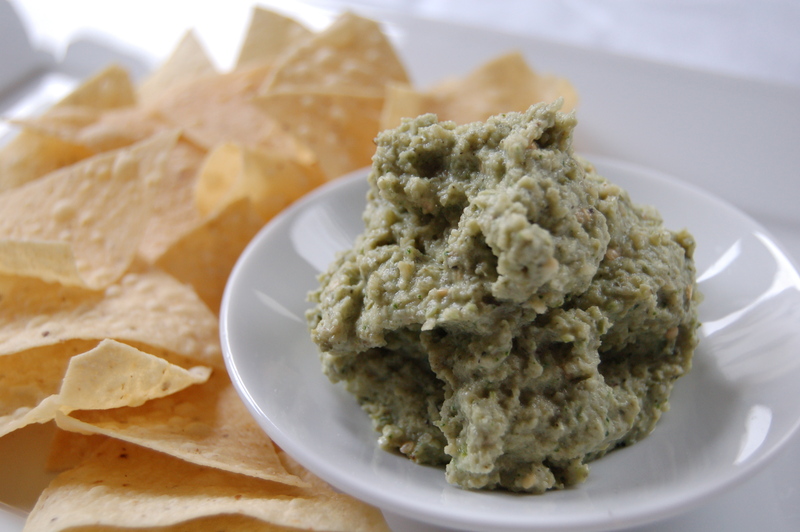 Transfer to serving bowl and serve at room temperature with tortilla chips or raw vegetables. 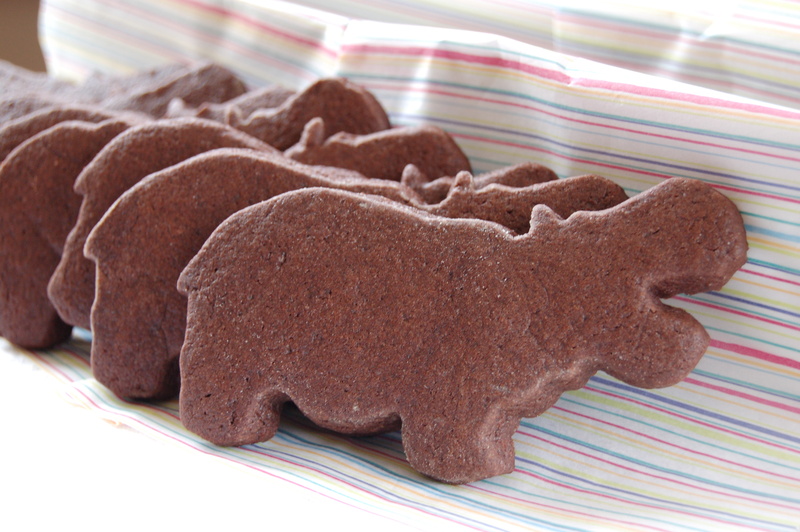 Can be made several hours ahead, covered with plastic and kept at room temperature. Leftovers can be refrigerated for a few days….assuming it lasts that long!